The Smart Card features businesses in Omaha Nebraska which offer discounts on products and services to cardholders in the local area. In turn, fundraising with The Smart Card offers a high profit margin for your school, fundraisers or any organization. The Smart Card is a Winning solution for you, the business sponsor and the cardholders. You benefit by the money generated from sales of the discount cards. The sponsoring business benefits by free advertising and increased patronage. The cardholder benefits by receiving continuous discounts at each business listed on the card. HAVE YOUR BUSINESS CARD PRINTED ON A LOCAL DISCOUNT CARD! ORDER YOUR NEW BUSINESS CARDS NOW! No matter what the event the Omaha Smart card is the ideal solution for your business or organization. Fundraising discount cards for all your events! It’s the ideal solution for non for profit and 501-C3 or organizations. The Omaha Smart Card has been an option for a variety of organizations and have been serving Omaha for 9 years. It is one of the highest pay-out in the industry, of up to 75% of all proceeds directly to the organization involved. looking for a simple and effective way to raise money for your organization? The Smart Card is a Winning solution for you, the business sponsor and the cardholders. The Smart Card is the answer! The Smart Card contains Thousands of dollars in Savings. Offers from over 150 Local Businesses. Show your card and get your discount, keep your card and use it again and again. No books to carry, coupons to clip, or stickers to peel off. Smart Cards are sold as fundraisers for non-profit organizations. Our consignment plan is what sets us apart allowing groups to sell cards without paying for them up front. 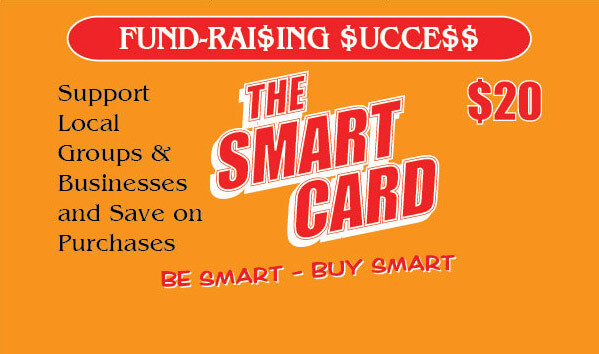 The Smart Card is a locally entity that has been helping organization raise money for 9 years now! 75% Profit Margin! Your organization keeps $15 of every card sold. Customers Win … because they save money at local restaurants and businesses all while supporting your Great Cause! We were established to help you reach your fundraising goals (and beyond) by selling a product that your customers will love buying!